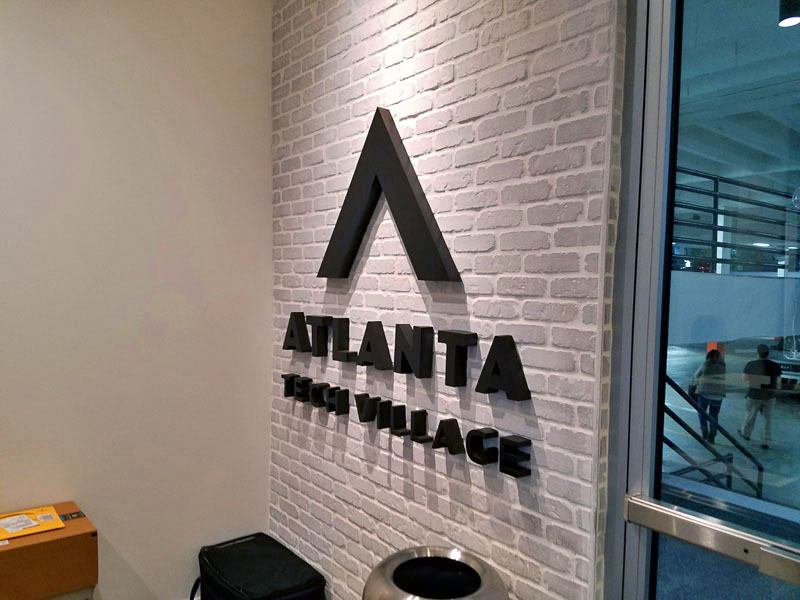 My brother and I were driving around the Buckhead part of Atlanta in the early evening recently and were looking for a coffee shop to check out. 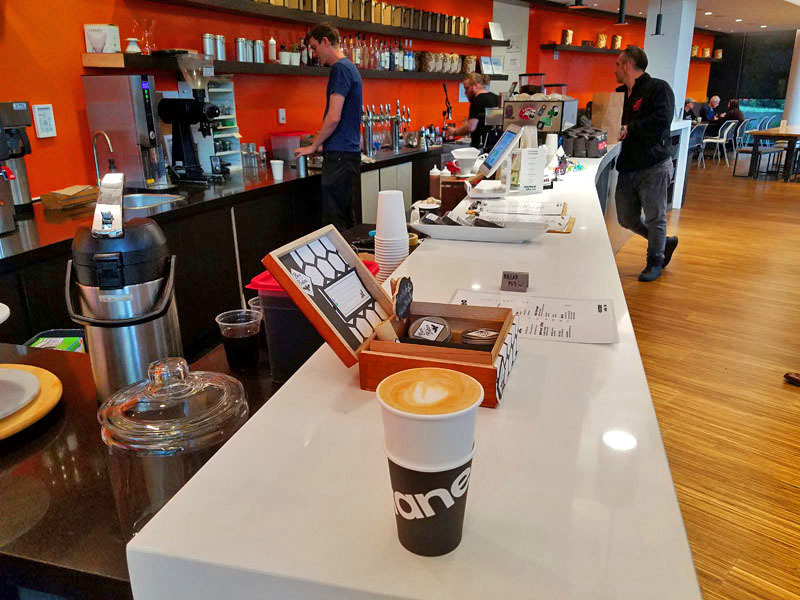 I knew there was an Octane Coffee / Bar in the area, and having been to their Grant Park location on several occasions, knew I could expect a good coffee and experience. 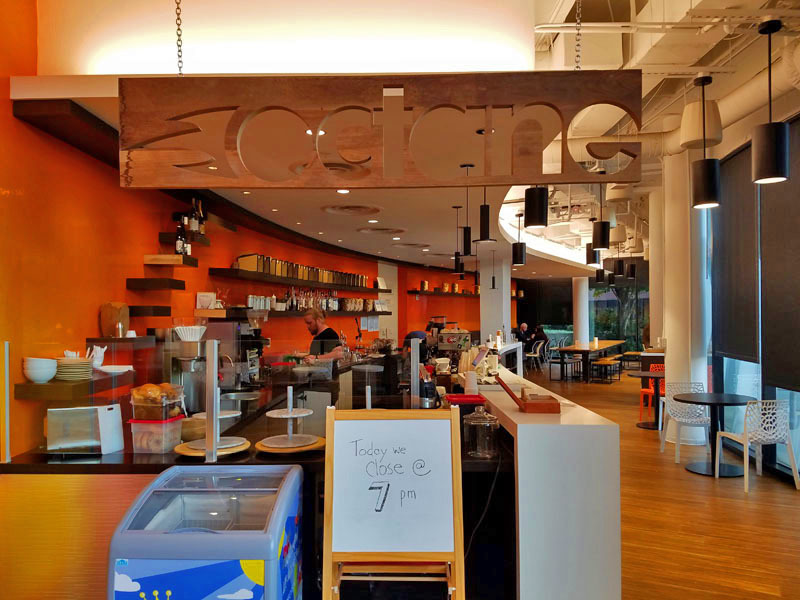 This Octane Coffee location sits on the first floor within the happening Atlanta Tech Village. We could feel the entrepreneurial and tech startup vibes both in- and outside of the brightly lit shop. There were lots of open laptops throughout the first floor and a mixer starting next store, as we walked into Octane right before close. Being Happy Hour my brother enjoyed one of their cocktail offerings. I of course went the coffee route, going with a basic latte. Just what I came to expect! 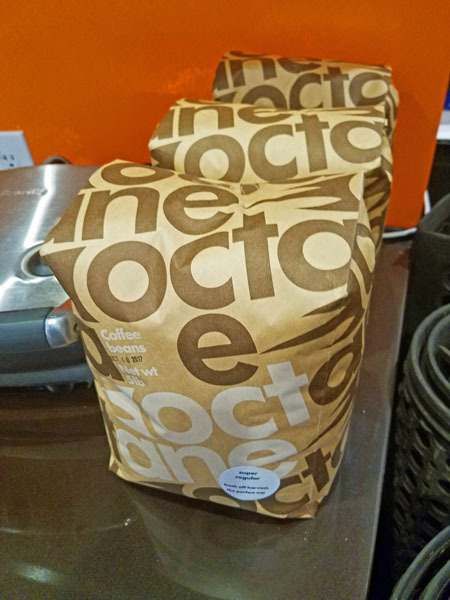 Octane was recently bought by southern based coffee roaster and retailer Revelator Coffee. Thus I saw ready to purchase coffee beans from both brands. Think that might be enough to last me a few days. This location follows more traditional business hours closing at 5pm or earlier each day. 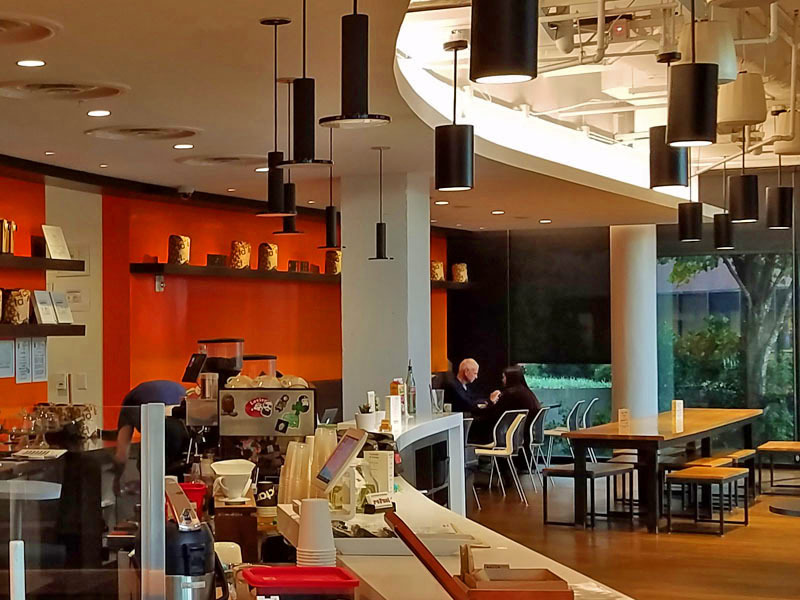 Deck parking, which is connected to the village, is available for Octane Coffee customers. If Espresso Cola is on the menu, order! 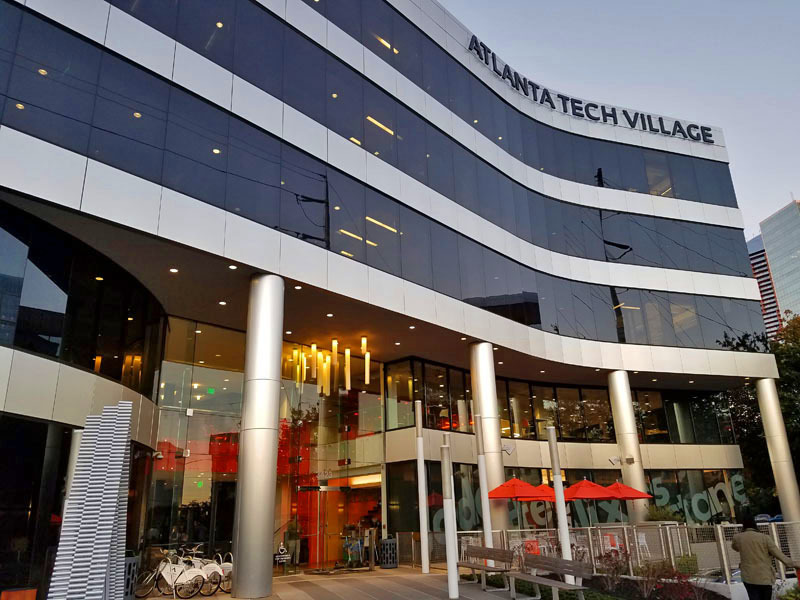 You can find Octane Coffee in the Atlanta Tech Village on Instagram. 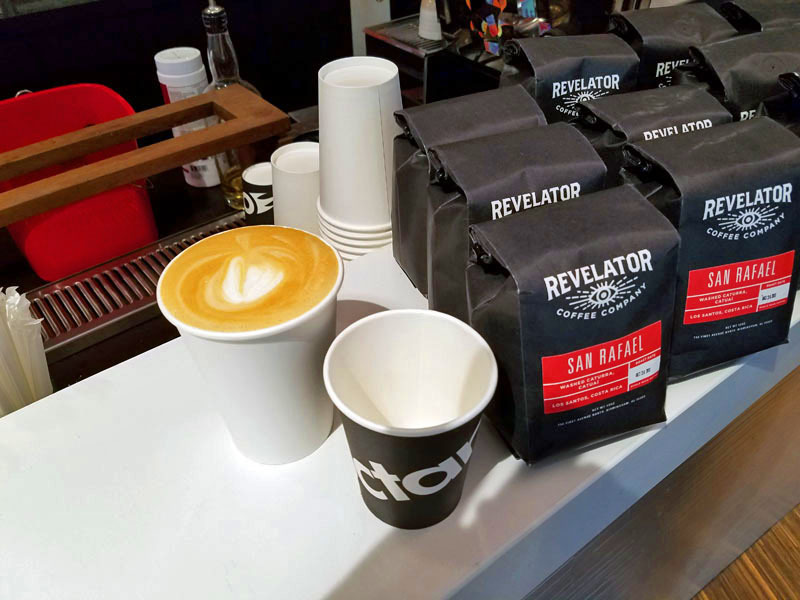 Likewise for Revelator Coffee. 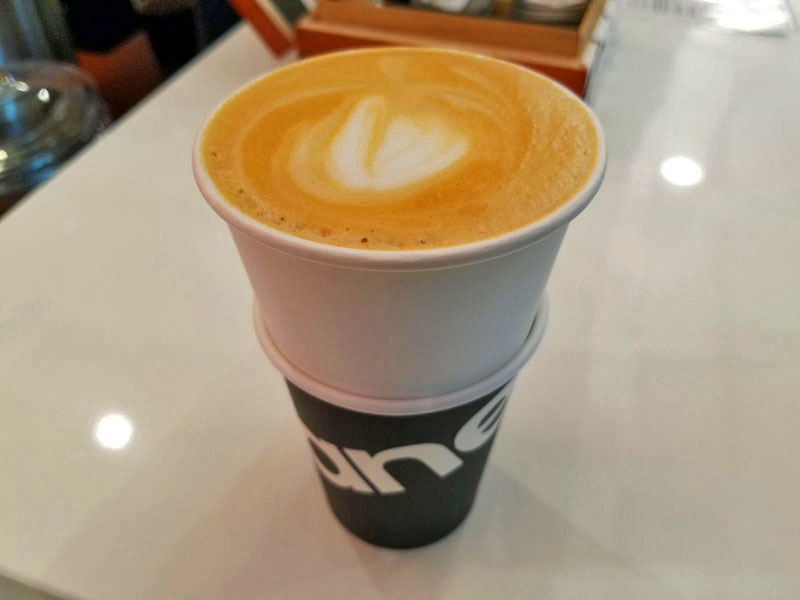 It was a great first experience at this Octane Coffee / Bar location. 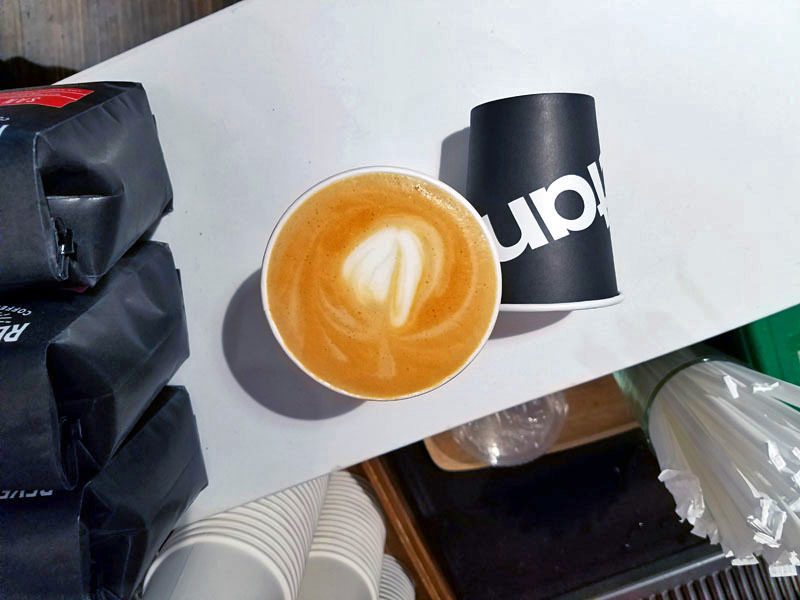 What are some of your favorite coffee shops in Atlanta?